Holland is conveniently located mid-way between Chicago and Detroit. 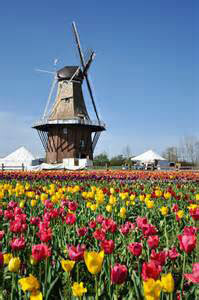 Holland is a thriving town known for its charm and, of course, its famous annual Tulip Festival, named “Best Small Town Festival” by Readers Digest. Long-time residents can’t imagine living anywhere else, and new residents wonder why they didn’t move here sooner. There is a vast array of recreational activities including beaches, pleasure boating on Lake Macatawa, golfing, as well as Lake Michigan fishing and watersports. You’ll find visual and performing arts, along with award-winning downtown shops, galleries and restaurants. Enjoy the downtown area safely year-round, thanks to the snow-melt system on the downtown streets and sidewalks. Holland has ample medical and hospital facilities, with Holland Hospital less than 15 minutes away. 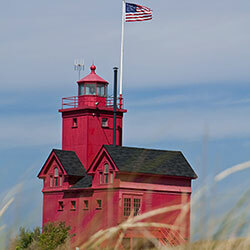 Shop at the downtown Farmer’s Market, stroll through one of several city parks, or visit one of the many local attractions including Holland State Park, Windmill Island Gardens including DeZwaan – the only authentic Dutch windmill operating in the United States – Big Red Lighthouse, or Veldheer Tulip Gardens. View the Holland Visitor’s Guide online at www.holland.org/plan/visitors-guide.